From the 1st May to the 20th June of 2015 I could observe a very interesting leaf warbler at the landfill near Gaustadt, which was singing absolutely different to any leaf warbler I know of. After discussions and communicating with some experts the leaf warbler was identified provisionally as a mixed singer Willow Warbler x Siberian Chiffchaff. Here I want to sum up the most important facts about this bird. The bird could reliably found at the bend of the path often moving through the open bushes. Actually, I could observe this bird just at my last visits (16th and 20th June). It looked quite different to a normal Willow Warbler, since its upper side was brownish and the underside mainly white. Usually Willow Warblers of Central Europe are showing notable green and yellow parts which this bird was missing. 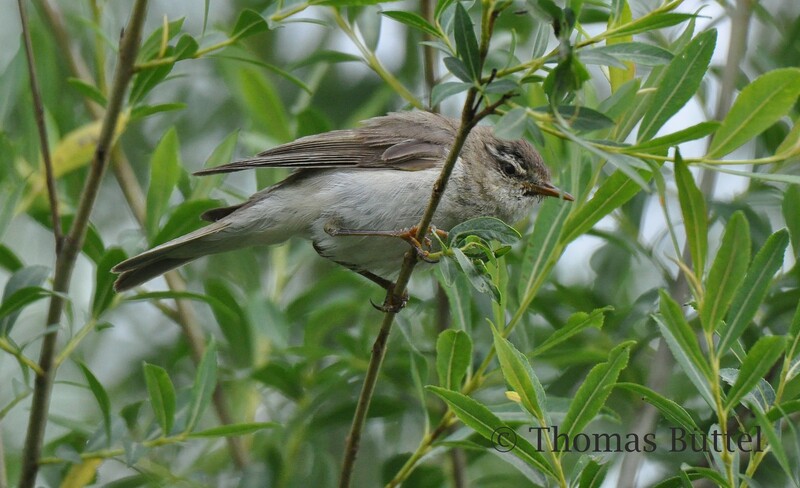 However speculations of this bird belonging to one of the eastern subspecies acredula or yakutensis cannot be proven, because the subspecies of Willow Warbler are all quite variable and can´t be differed only concerning their appearance. So it may only be assumed, that the mixed singer could be an eastern Willow Warbler. Most conspicious was the weird song, which always followed this pattern: While it started rather typically for a Willow Warbler with melancholic but by trend descending notes it suddenly changed to combine fluently descending and ascending notes, which were always staying by trend on the same pitch. Quite obvious was the notable change in the tone colour. The ending however was very variable and often consisting of always different notes. 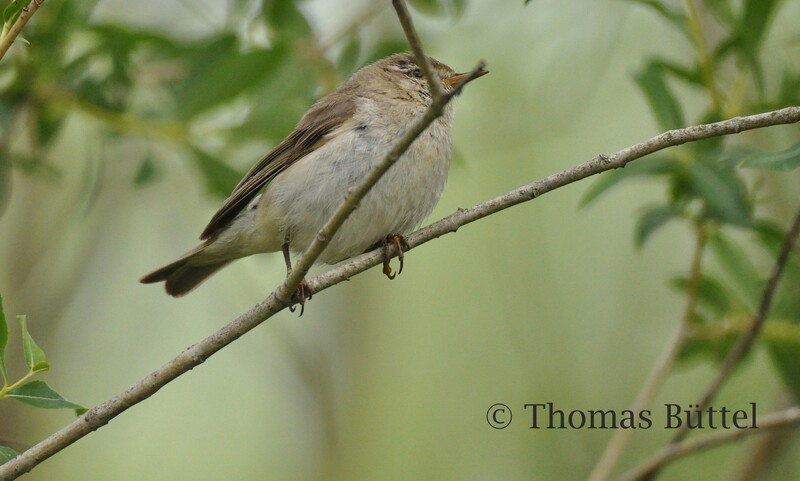 Especially because of the fluent way of combining the notes in the second part of the strophe it was suspected, that this bird was influenced by a Siberian Chiffchaff. Furthermore in the second part mostly the same three notes can be found. At my later visits the pattern of the "mixed song" was alternated more often and strophes sounding more typical for a Willow Warbler could be heard. 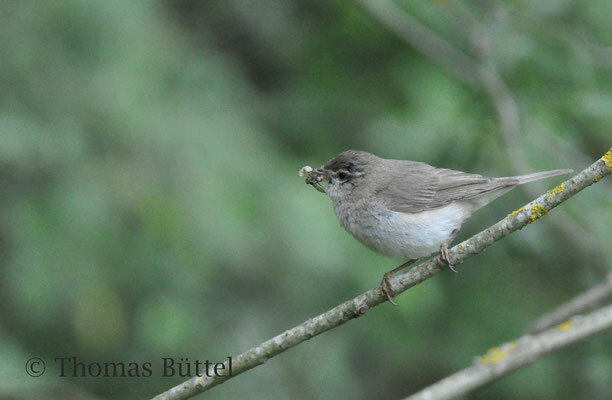 The song was uttered either whilst feeding or exposed on the top of a bush. The calls though were more typical for a Willow Warbler, but in my opinion they sounded a bit sharper. Generally the bird was not shy and often came as close as two meters. Quite interesting was its influence on the Willow Warblers nearby. When it could be heard singing its "mixed song" some other Willow Warbler tried to answer by intergrating notes of the mixed singer in their songs. 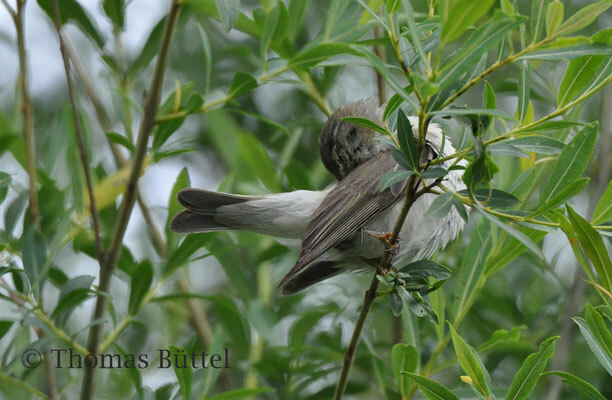 Finally the bird could also be seen feeding a normal looking juvenile with a dragonfly. So perhaps the mixed singer had bred successfully.